Hapara Dashboard began in a school, and over the years we’ve continued to grow our products based on the partnerships we have with educators. We find enormous value in having our team visit schools regularly – not just our product team, but also our software engineers, QA, professional development, marketing, sales and support teams. There are many areas in which our team, our product, and ultimately, our customers, benefit from this engagement. Some of the most important benefits are below. Nothing helps us to understand educators and learners more than visiting them at school and seeing them in action. These visits offer us the opportunity to speak to them about their processes, experience their culture, and understand how they operate. Doing this gives us crucial context about how they use Hapara tools. We get to see what is happening around them, what their environment looks like, the various things competing for their attention, and the small hacks that they use to be more efficient. These visits build empathy. Through engagement we add faces and names to the people we are working for, and observe first-hand where they face challenges. We get honest and direct feedback on our product and are able to collaborate to make fast, meaningful improvements. Our team stays as connected to our customers as possible. Taking the whole team to spend time at a school shows them that we care, that we are available, and that we are listening. Seeing teachers and students using the products we build is INSPIRING. When we see the impact our work has on people it motivates us. This is a powerful driver for our team to build better solutions for teachers and their students. These visits have resulted in several valuable insights into how our product is used, and how it could be improved. At Wolf Creek we noticed a number of students using phones to do assignments in Workspace. This resulted in the team making significant improvements to Workspace for mobile devices. We also learned that Workspace is a vital connector for kids in Wolf Creek who can’t make it to school because of poor weather or other obligations and ramped up efforts to ensure stability and access. At Unitec, while watching a lecturer use Dashboard we noticed that they needed to click on the navigation multiple times before the page loaded – the hit areas were too small for touch screen devices. The user experience team is looking at navigation improvements that will work better across multiple devices. 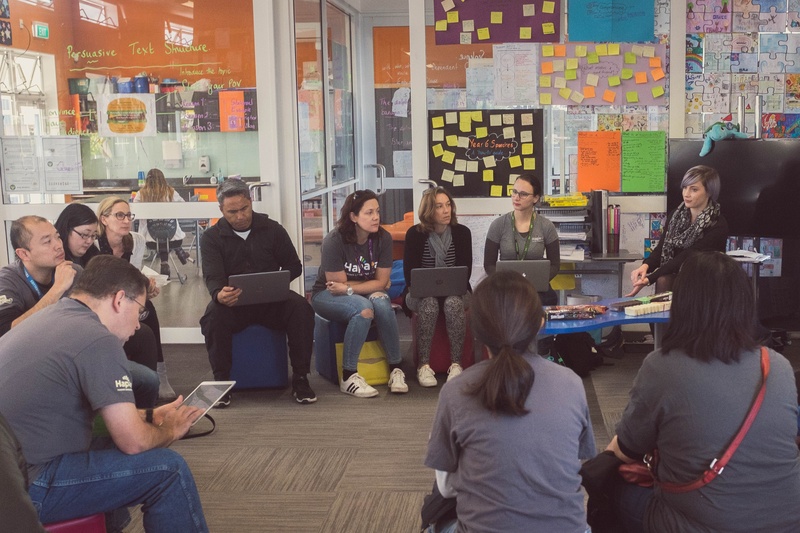 At Campbells Bay we heard that their IT Manager had installed Highlights manually on the school’s Chromebooks, and that their teachers were discovering and using product features organically. Our support team demonstrated methods to strengthen Hapara’s Highlights implementation, and we referred their teachers to our free webinar series for customers, showing ways to use Hapara tools. We believe that education should be collaborative, engaging, and human, and we’re learning that even the smallest change can make a big impact!